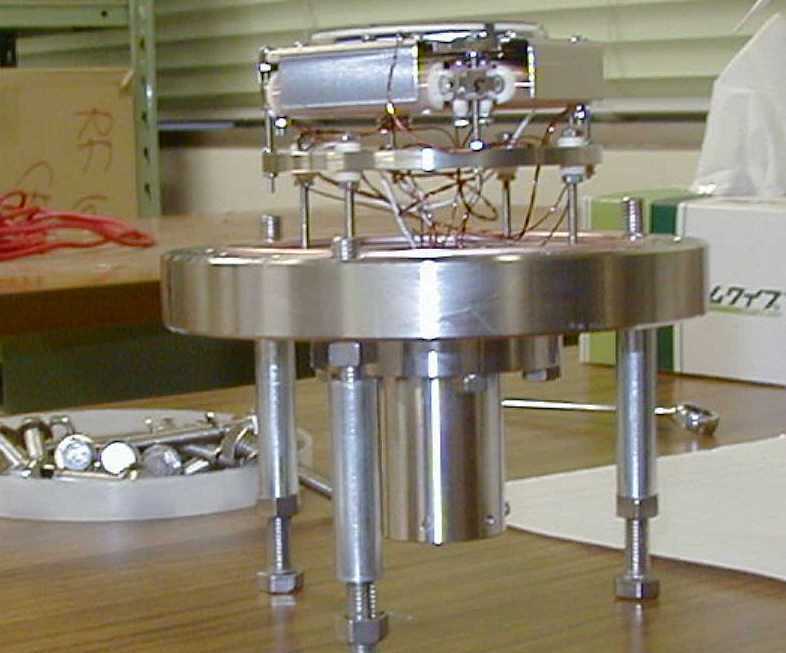 This RoentDek's 2-D Detector ( Top view , Side view )will be used as a anti-proton beam profile monitor. 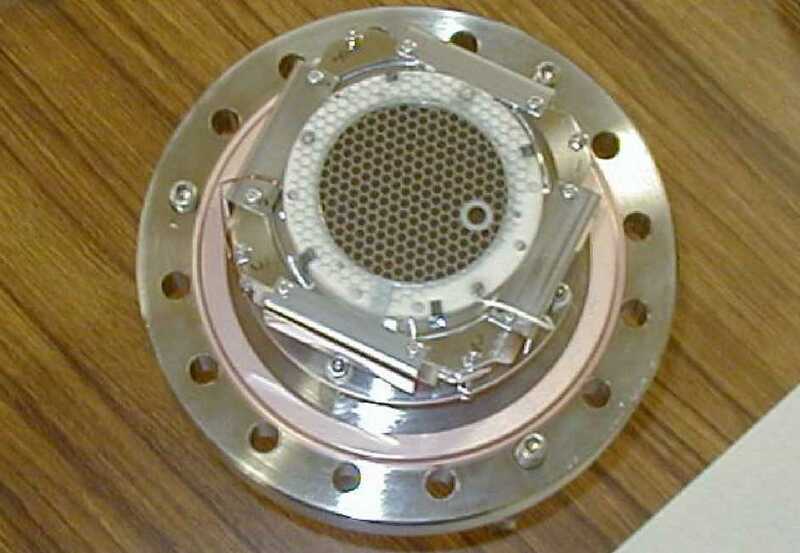 This is mounted between the electrodes of anti-proton extraction beam line. ASACUSA Trap Group's research page! Go to the ASACUSA Trap Group Home Page! Return to the Gallery Top Page. Return to KURODA's Web Page.